Each year the Library of American Broadcasting Foundation (LABF) and BEA present the Broadcast Historian Award. 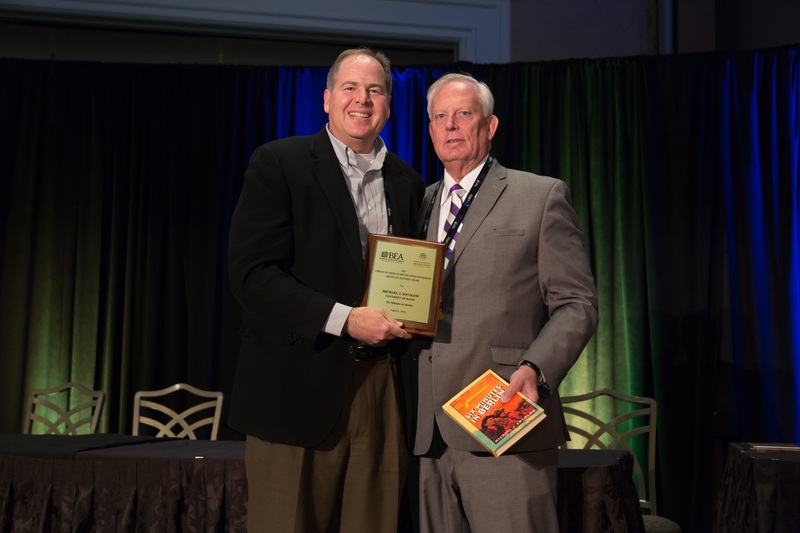 With the support of LABF, BEA annually awards $5,000 to an educator who has published a book or produced creative work specifically related to broadcast/media history. Books and creative work are recognized in alternating years. This year the BEA and LABF are accepting submissions from faculty members who have produced creative work between January 1, 2016 and November 30, 2018. The submission deadline is December 18, 2018. If LABF and BEA are unable to select an appropriate candidate in any given year, they reserve the right to cancel the award in that given year. The recipient will be recognized at the BEA2019 Awards Ceremony held at the Westgate Las Vegas Resort on Sunday, April 7, 2019. BEA encourages those whose are nominated to attend the BEA2019 Annual Convention April 6 – 9, 2019. Click here for the application and creative work upload instructions. * The award will be given to an author of a book or a producer of a documentary/multimedia project in alternating years — i.e. books will be awarded in even years (nominated in odd years), creative works are awarded in odd numbered years (nominated in even years). * The award recipient MAY be asked to prepare a session/panel at BEA’s annual convention focusing on their area of research. * The work should credit partial funding from the Library of American Broadcasting Foundation and copies of the winning book or creative work will be placed with the Library each year to retain as part of their collection. NOTE: During odd years when book are submitted, authors must submit five copies of the nominated book and a letter by the author outlining scope of research. In an effort to preserve scholarship in broadcast history, and with major support from the Library of American Broadcasting (LABF), BEA is establishing an annual Library of American Broadcasting Foundation Scholarship award for graduate students whose research is focused mainly in this area. The leadership of the History Division will assist the LABF, BEA’s staff and Scholarship Committee in the outreach and selection process of the award. The Library of American Broadcasting Foundation Scholarship would award one graduate student $3,000 each fall to support the student’s continuing studies and dissertation in broadcast history. Upon completion of the dissertation, the award recipient will donate copies to the Library of American Broadcasting to retain as part of their collection. Please see BEA’s Scholarships for application information.